We channelled the feel of an old-fashioned distillery for a series of festive CG animations and cinemagraphs for Molton Brown’s digital Christmas campaign. 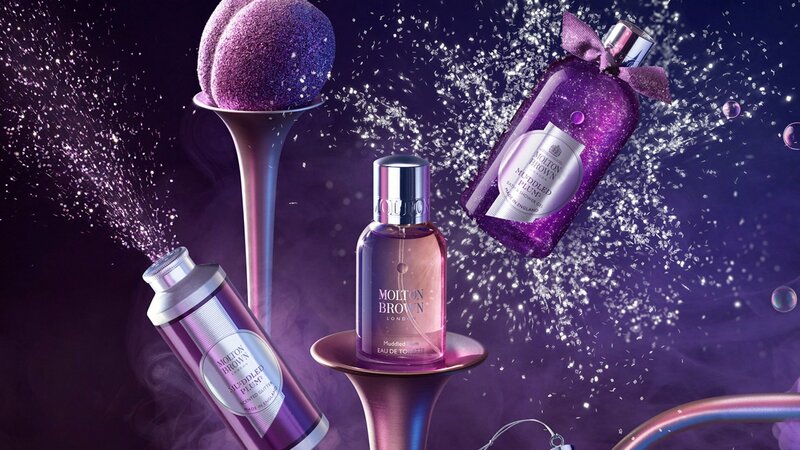 This was Molton Brown’s largest ever CG campaign, centred around the launch of their new seasonal scent, Muddled Plum. We built CG conveyor belts, pressure gauges and more to create a factory feel, compositing 2D glitter and cloud elements alongside the CG assets to liven up the scene and add depth. A series of cinemagraphs were also made for use on social media.